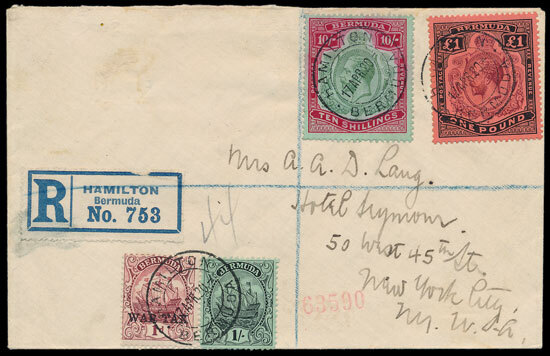 A very rare Bermuda 1920 cover to the USA with 10/-, £1 & War Tax overprints, estimated at £130, was eventually sold for £590 after competitive bidding. A Gibraltar 1925-32 £5 on a small piece sold for £2,240. 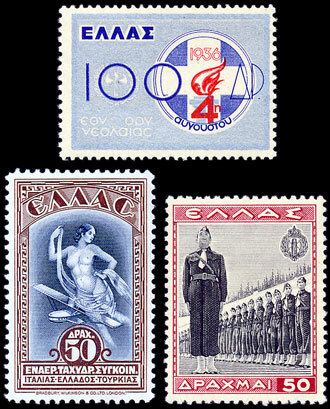 Asia was very popular, with a range of Hong Kong collections selling for well above estimates. 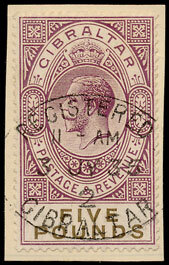 Lot 250, a QV to KGV collection, sold for £7,375, well surpassing the estimate of £4,000. 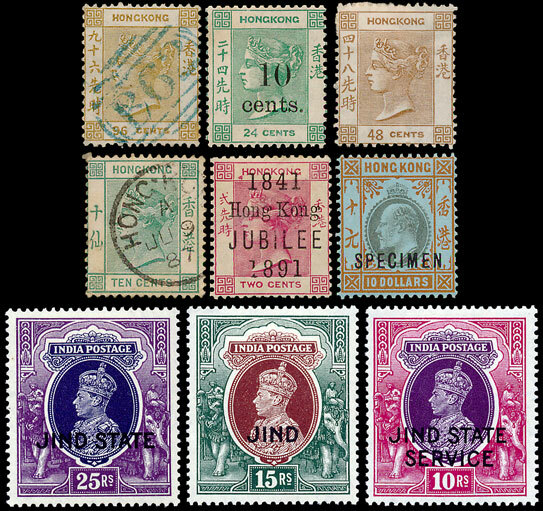 Similarly Indian States, with a Jind King George VI overprint range selling for £1,030 from the estimate of £650. 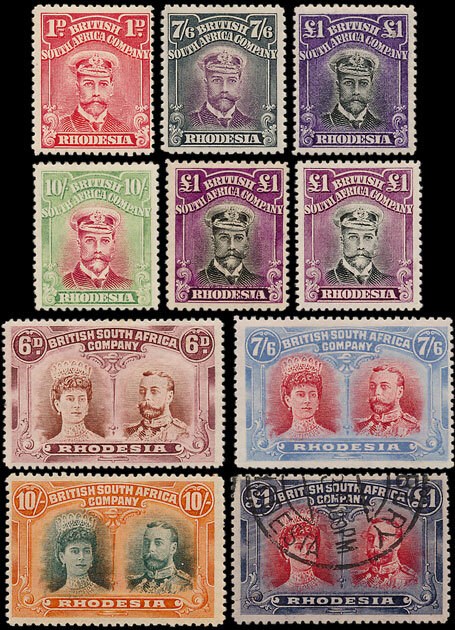 A very fine Rhodesia collection with excellent Double Heads and Admirals, said to catalogue £16,500, sold for £5,780. 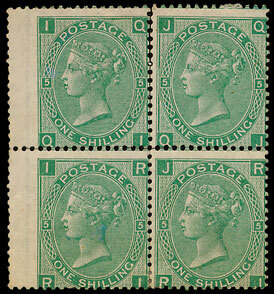 Penny blacks sold well; lot 562, a plate set, sold for £1,090. 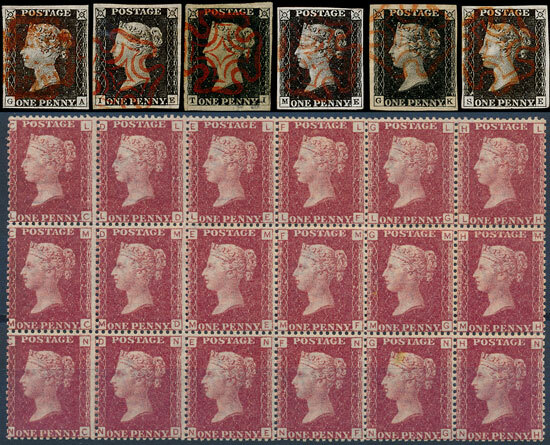 Single stamps sold for up to £165 each and an 1858-79 1d red block of 18 sold for £248. A Queen Victoria collection of mint blocks in various sizes, estimated at £1,200, sold for £2,360. A Queen Victoria 1891 £1 mint sold for £800 and a King Edward VII 1901 paste-up sold for £2,830 (see our previous news story here). 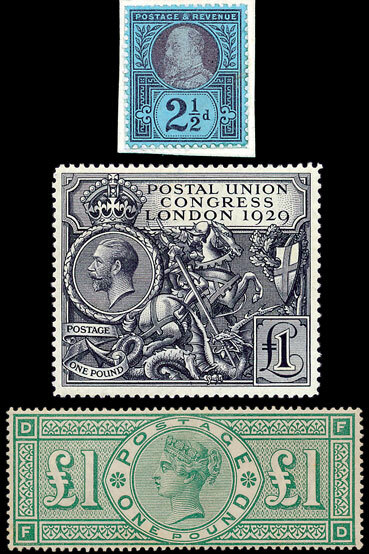 A King George V 1929 PUC £1, possibly UM, sold for £330. Greek collections have not been popular in recent years so it was pleasing to see an accumulation with many better items, estimated at £250, selling for £366. 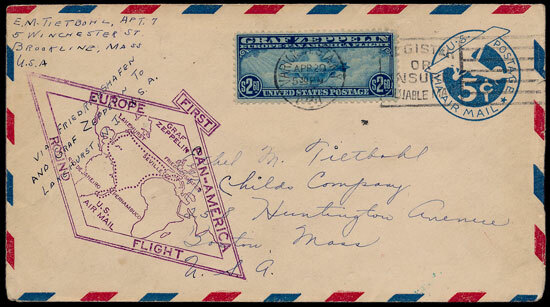 A USA 1930 Zeppelin set, each on separate cover, with various cachets sold for £330. See our article about the history of Zeppelin commemorative stamps here and look out for some very good Airship collections in our March auction.